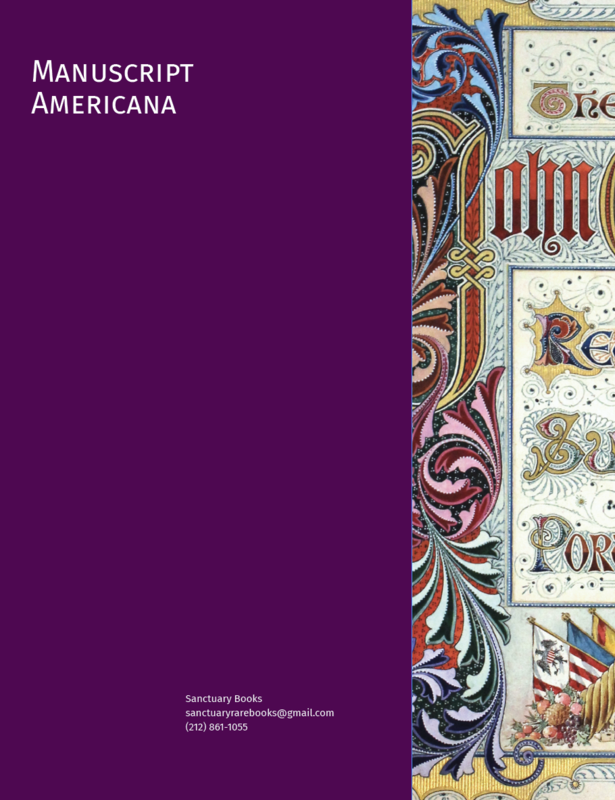 This catalogue of manuscript Americana contains 52 items, over a wide expanse of subjects. Among the many highlights include an autograph manuscript copy of “Hail, Columbia,” an amazing magician’s notebook, an early American songbook, as well as a number of fine calligraphic albums and an unbelievably wacky diary. To be followed by a selection of printed Americana, coming soon!